Today's smartphones are designed to provide the best user experience. As soon as you turn on your mobile data all the updates will be coming automatically. And some programs will be running in the background. But for these services you may experience unnecessary data consumption. 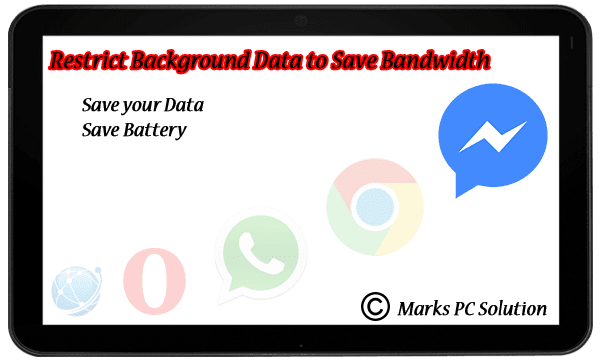 Today I'm gonna advice you to restrict background data to reduce the data consumption. This option may vary from device to device. But the basic settings will be almost same I guess. This option is normally available in Network settings. 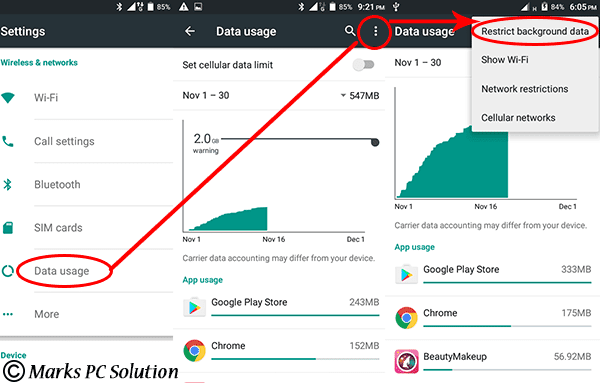 If you turn on this settings then no application will consume your mobile data in the background. And your mobile data will be active automatically when you run an application that requires Internet.. I think it's very handy to use. 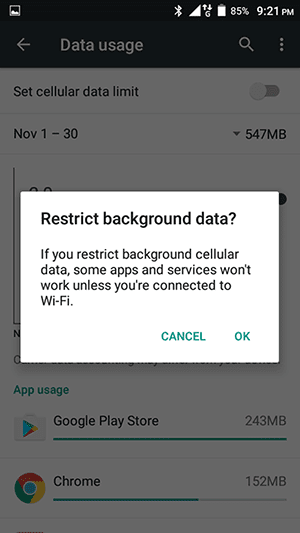 How to Restrict Background Data? Go to the Settings > Data Usage. Hit on the 3 dotted option button as indicated by red circle. Finally you will get a confirmation message as below. Hit OK and you're done! But the problem is, when you're downloading something, the download process will be interrupted when you close your program. In that case you should not restrict background data. How to Remove the Restriction? Removing the restriction is much easier. If you ever need to disable this settings you can follow the above steps again. Then you've to choose Allow background data. Or you may see the restriction icon at the top of your phone screen. You can simply drop down the top bar and touch that option to remove data restriction. Hope this post will be of good use. Thanks for visiting Marks PC . . .